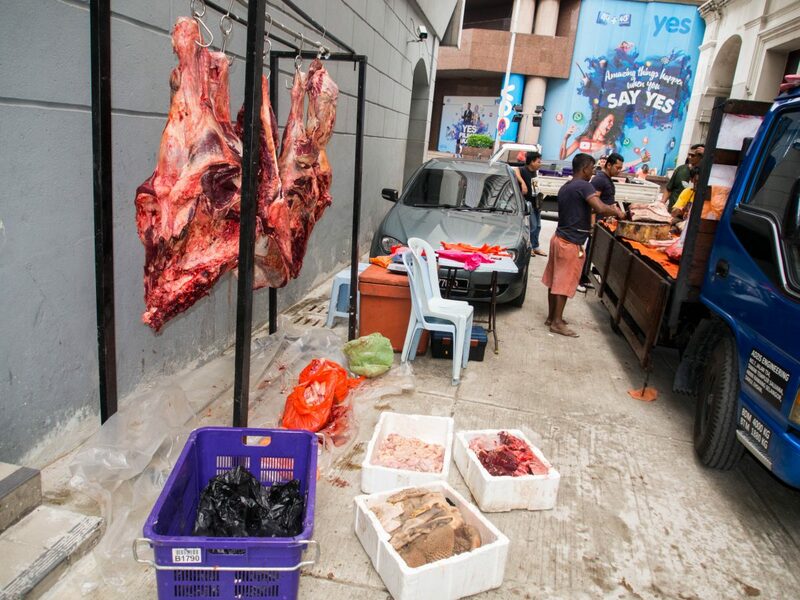 If you are early in the street of KL, you can not only watch the Pudu market. Also you find other interesting deliveries taking place to supply the shops and restaurant with the goods for the day or the week. What I found a few times is the delivery of meat. Meat is delivered in trucks. Open trucks. There’s no western hygiene. The trucks stop in the streets to deliver the products, just-in-time. 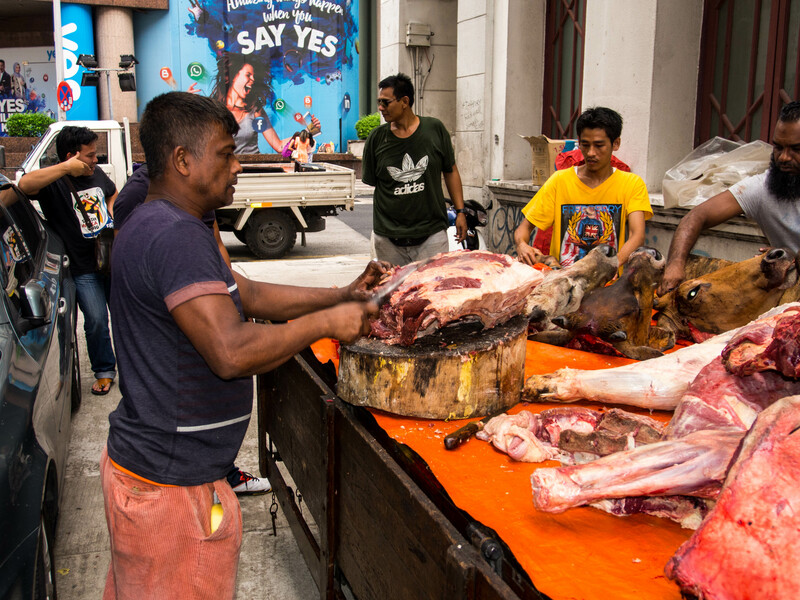 The meat is fresh, the animals have just been killed, and is cut in large chucks: legs, shoulder, intestines, but also the heads, everything. The butchers and traders were happy for me to take a picture, even to pose. The more interesting picture are obviously when they do not pose.